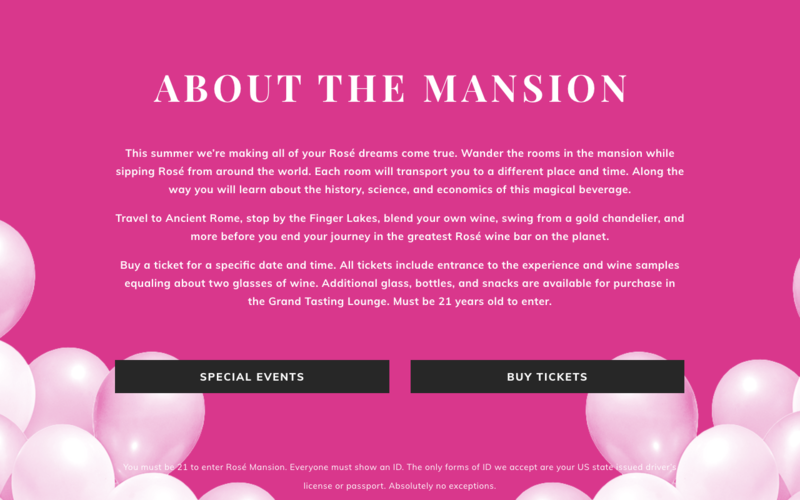 Rosé Mansion is an interactive pop-up museum devoted to the pink wine. In Spring 2018, Auberg Design worked with Knockout! on their website. Molly Cichy of Knockout! 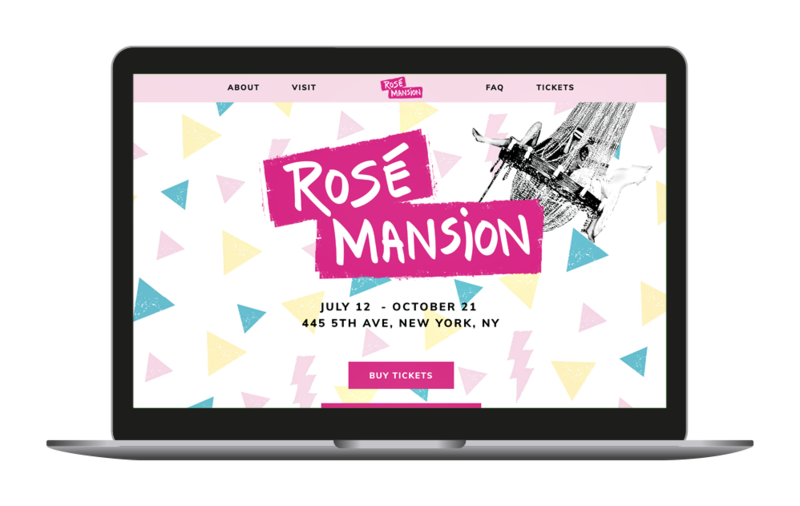 designed the concept and layout of the website. 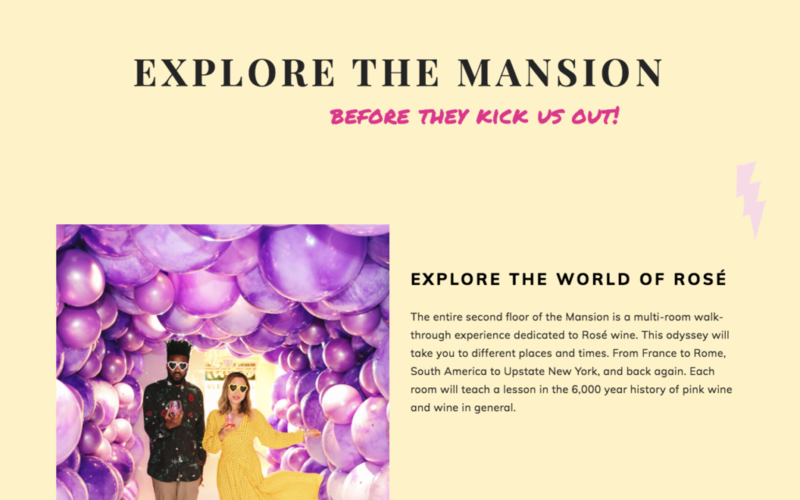 I completed the build of the initial website and created templates for future pages on Squarespace. I added code and custom CSS to expand the functionality of the base template. 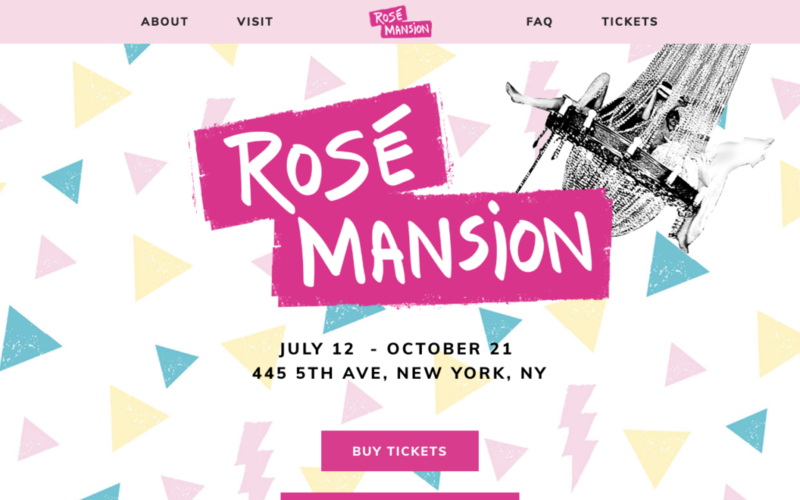 Auberg Design also created a mailchimp template for the Rosé Mansion newsletter.